Take care of your baby’s skin when it is in the sun and enjoy this summer in total safety. The sun rays provide vitamin D to body and strengthen collagen, but when we expose ourselves excessively, it can be harmful especially in the fragile and sensitive skin of babies and children. Therefore, we must take care of it with a sunscreen that provides a barrier against UVA and UVB rays in order to avoid harmful effects. Here are some options for your baby to be protected while enjoying and playing on sunny days. 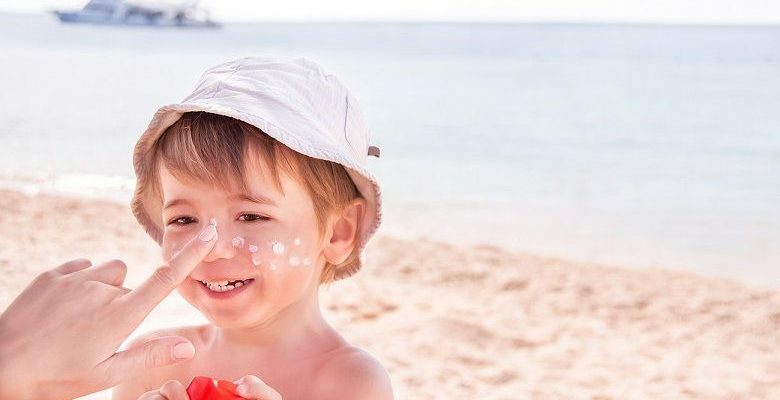 SPF baby sunscreen protects the child and family from UVA and UVB sunrays. It is developed and manufactured due to high demand of customers. I had won the Nature & Health awards in 2013. 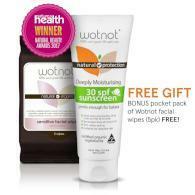 Wotnot sunscreen uses zinc for the protection from harmful sun rays such as UVA and UVB. This lotion is designed for extra sensitive skin. It has a high natural oil content making it deeply moisturising and uses the finest, most gentle natural extracts. Baby sunscreen formulated based on minerals, which provides protection against UVA and UVB rays. In addition, it is designed to withstand water for up to 80 minutes and comes with a soft touch texture. This lotion also moisturizes and softens the skin of your babies, while creating a physical barrier in the skin and repairs the damage that can lead to excessive exposure to the sun. Thinkbaby is formulated without parabens and is free of zinc oxide. In addition, it is an ecological product that is designed to provide a protection factor of SPF 50, with a safe absorption by the epidermis. It is an ideal option to protect your baby against the harmful rays of the sun. Likewise, it has a water resistance level of 80 minutes so the child can enjoy without risk. Neutrogena Pure is a hypoallergenic sunscreen without oil. It has a protection factor of 60 to protect against UVA and UVB rays. It is ideal for sensitive skin. This product provides a high level of protection against the harmful rays of the sun and can withstand contact with water for up to 80 minutes, making it a perfect companion for your baby to swim. It is a high-spectrum sunscreen, designed to protect your child’s skin against UVA and UVB rays. It is formulated with natural base ingredients and no fragrance to prevent allergies. It is a recommended product for children with sensitive skin, as it does not cause irritation or itching. Likewise, it has a prolonged protection that is safe for children to enjoy on the beach or in the pool. It is a lotion made with natural ingredients to ensure a healthy feeling on the baby’s skin. It is designed to offer SPF 30+ protection, and guarantee its function for 40 minutes in contact with water. Its active ingredients help to repair and restore the protective barrier that protects the skin against excessive sun rays. In addition, thanks to its non-greasy properties it is ideal for all skin types.